Ankle boots have always been my favourite jam! And they look gorgeous on almost everyone. It’s a fun fashion trend which can be worn regardless of any season. Be it summer, winter, fall or spring, the ankle boots can transform your look in an instant!I’ve often heard women saying that it’s too hard to rock ankle boots. Well fear not lovelies, today I’m going to share some of my tried and tested tips that would take away all your anxiety! I know how antsy we women get if we ain’t able to get that perfect fit or style. And it’s all about personal preferences, However learning these tidbits will make you go on the path to becoming a fashionista worth emulating yourself! From Gigi Hadid to Selena Gomez, Kendal Jenner to Mila Kunis, Malaika Arora to Disha Patani, we often find our favourite celebs in cuffed Jeans. 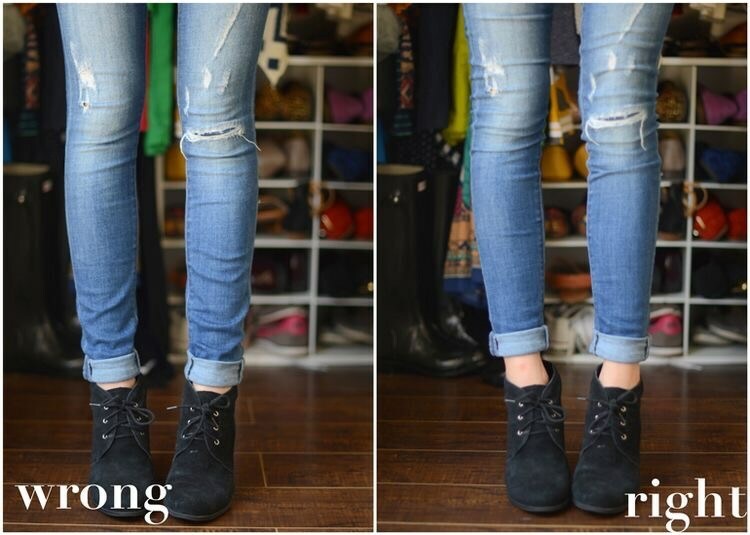 Always be mindful of your hemline and let the denim reach just about an inch above the ankle. 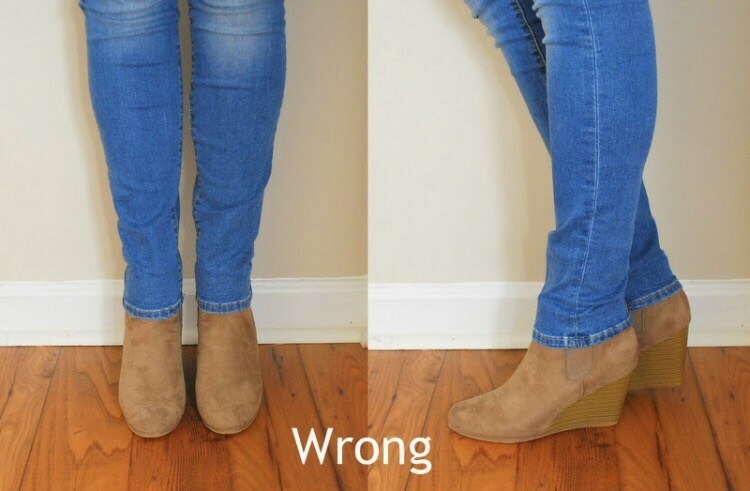 Unless you’re wearing flared or boot cut jeans, covering your boots is a massive disaster! The cuff shouldn’t be too low but moderately over the ankles to give you a slender look. Well if you’re a leggy lass like Kendall Jenner then you may opt for larger cuffs but if you want to make your legs appear longer then go for shorter cuffs. This will give the illusion of longer and slimmer legs. I prefer a sleek,tiny cuff as it gives a chic and casual vibe to my outfit. The rule of thumb is to give a glimpse of your ankle so the double cuff is to show a little more as it looks flattering. However single fold is equally pretty so don’t over do the double cuff, making it thick with excess fabric and ending up looking stocky. Don’t go for tasteless thick multiple folds because they will make you look large, broad and chunky around the calves and ankles. 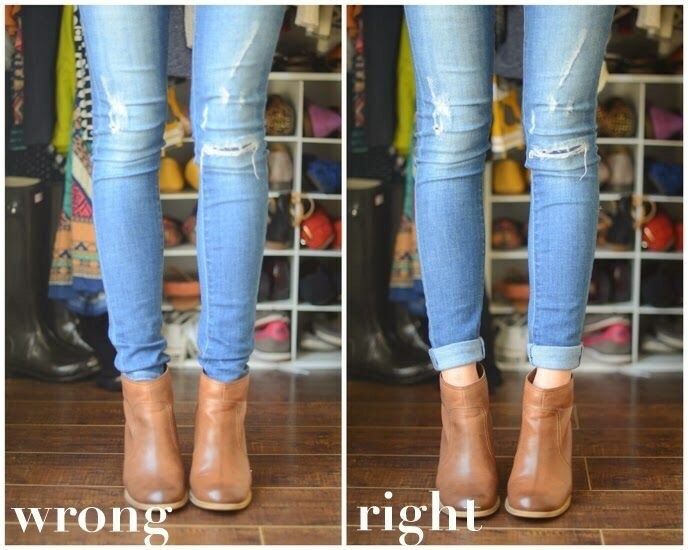 Also go for skinny jeans as it’s easier to cuff them because they are comfortably tight enough to not give you a baggy look around the ankles. Loose or less tapered jeans will make you look wider. The easiest solution is to buy a pair of cropped jeans or get them tailored. 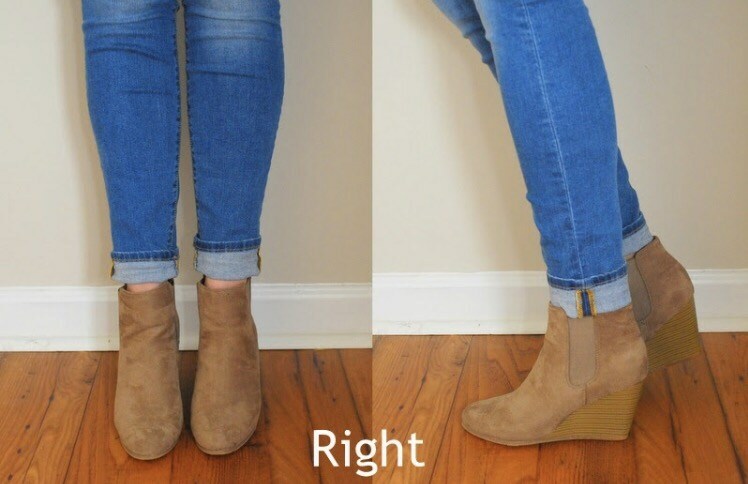 The tip is to make the hemline fall above the top of your ankle boots. 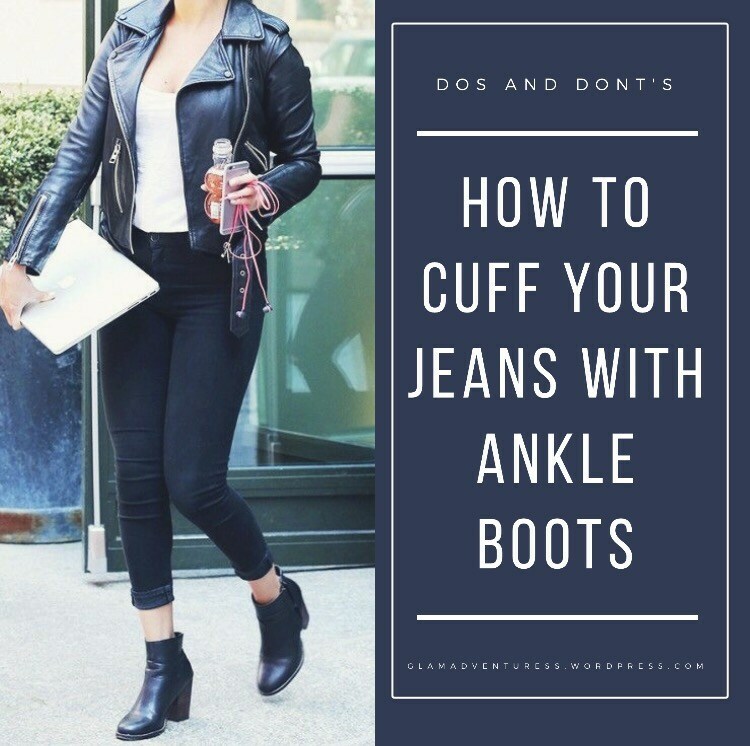 So to give a little twist to your staple fashion, go for cuffing your jeans the right way and earn truckloads of compliments. Do you like wearing ankle boots? How do you style them? Do share in the comment section below. Keep it simple Keep it Stylish! These are great tips! Who knew that 1inch above the bootie was a rule? It looks perfect! Such ace tips, and sure to stop me looking so ‘mumsy’! Always looking forward to your post with awesome, fashion tips! I thought skinny little ankles like mine can’t do this look. I feel like my legs look like spoons in a coffee cup. Any thoughts? here. Your page should go viral. You need initial traffic boost only.